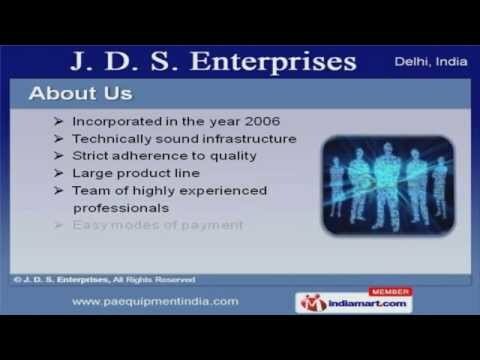 Welcome to J. D. S. EnterprisesManufacturer & Service Provider of Audio System & Sound Amplification Systems. The company was incorporated in the year 2006. Our strict adherence to quality & team of highlyexperienced professionals has helped us to earn present repute in the market. We are well known in the market for our effective after sales support, specialized R& D department, excellent logistic support & customized solutions. Behringer, Aerons & Fidek Sound Equipments are some of our products. Our Ciare & Montarbo Sound Equipments are a class apart. Along with that we offer Nightsun Lighting, Mustang & Sunrise Sound Equipments at market leadingprices. We also offer premium grade Event Management, Wedding Planning & Brand Launching solutions. Our Bugera, Small & Large Format Mixtures are one of the best in the industry. We are well known in the market for our Powered Mixture & Studio Master P Series.